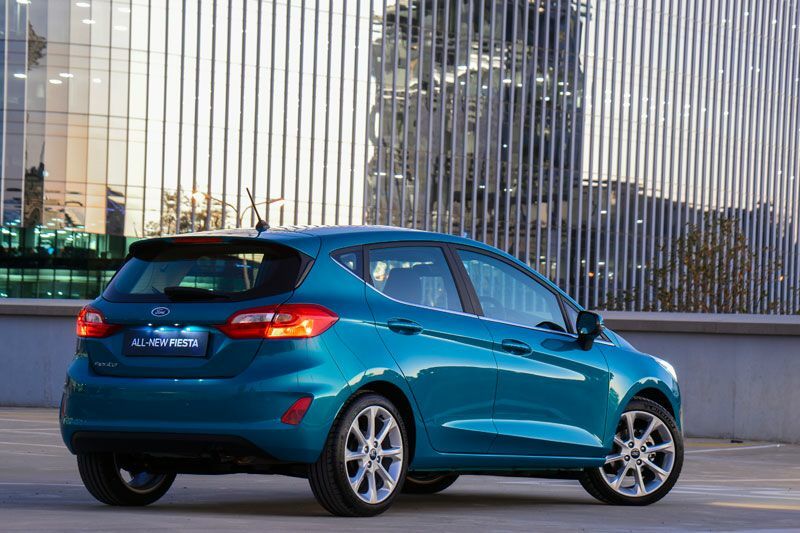 The Fiesta’s widely acclaimed fun-to-drive character has been lifted to new heights, and its eye-catching new design embodies trend-setting style and sophistication. 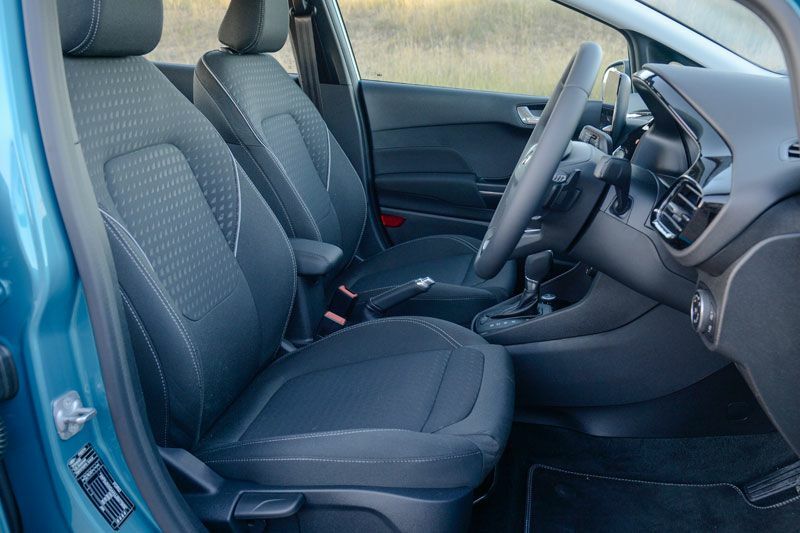 The revolutionary interior design also takes a big step forward by delivering significant gains in space, comfort, ergonomics and technology. 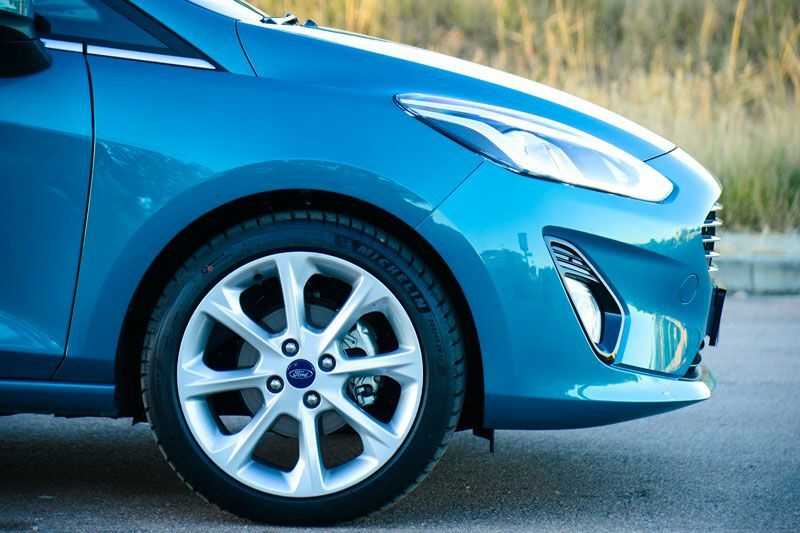 Simplified, straighter lines and de-cluttered surfaces deliver more visual strength, while the wider grille defines the upmarket appeal of the Fiesta. Sleek headlamps offer a new wrap-around effect that is immediately recognisable as part of the all-new model’s visual character. 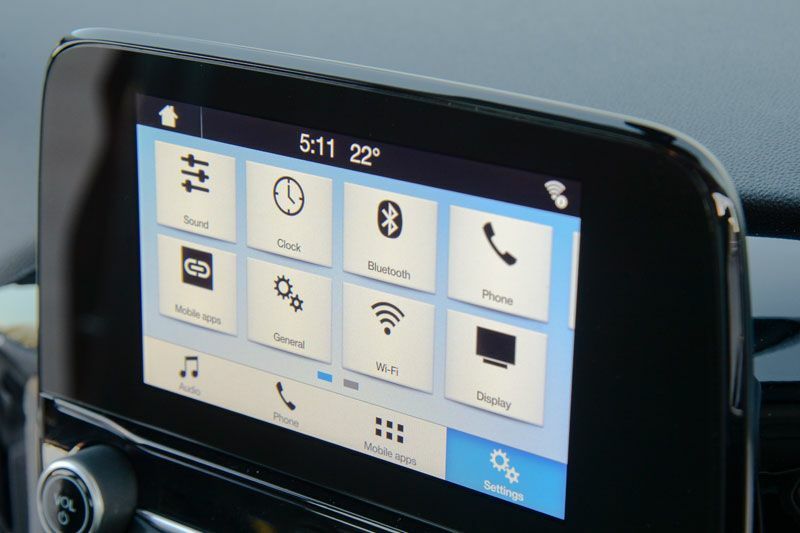 The user-centric Fiesta interior execution is influenced by consumer interactions with smart devices and tablets. 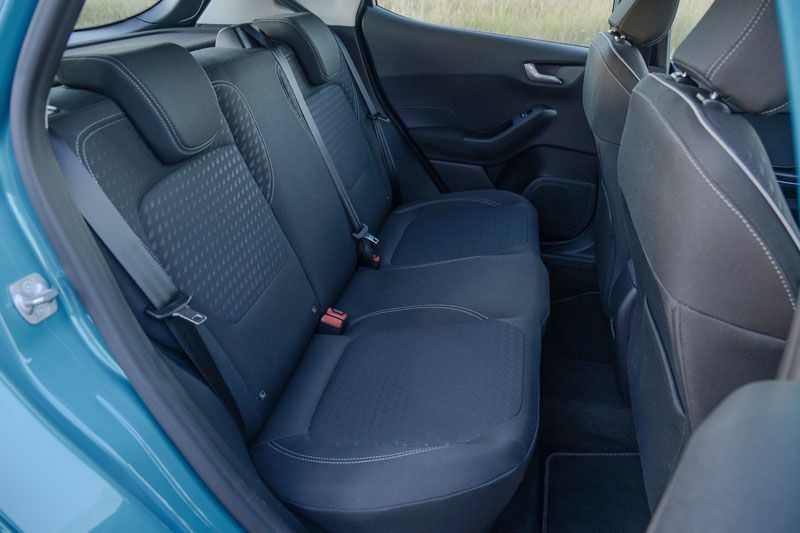 It delivers a more spacious and premium ambience through the use of ergonomic design and soft-touch materials. 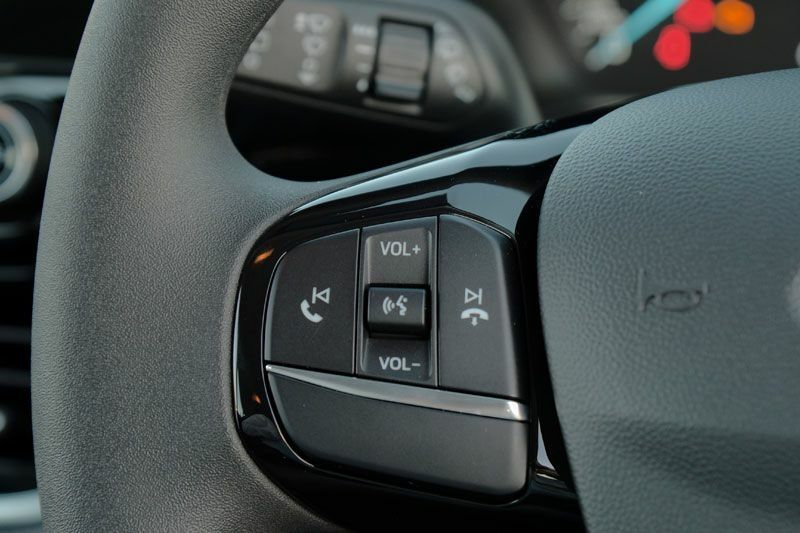 The number of buttons on the centre console is reduced by almost half, with many connectivity and entertainment controls relocated to the 6.5-inch touchscreen fitted as standard on the Trend models, or the 8-inch version on the Titanium incorporating SYNC®3 with Navigation. Flush, seamless surfaces continue through the interior. A one-piece centre console connects discreetly to the lower instrument panel for a more harmonious feel, and there are no visible fixings to the floor. 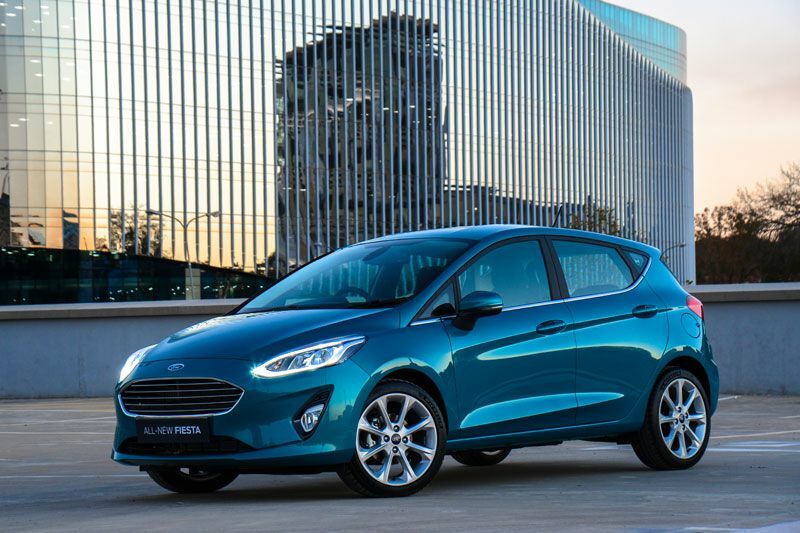 Ford’s six-time International Engine of the Year, the 1.0-litre EcoBoost petrol engine, is offered in two variants in the all-new Fiesta. In the Trend model with a new six-speed manual gearbox, as well as the Trend and Titanium equipped with a conventional six-speed torque converter automatic transmission, the 1.0 EcoBoost produces 74kW of power and 170Nm of torque from 1 500 to 4 000 r/min. 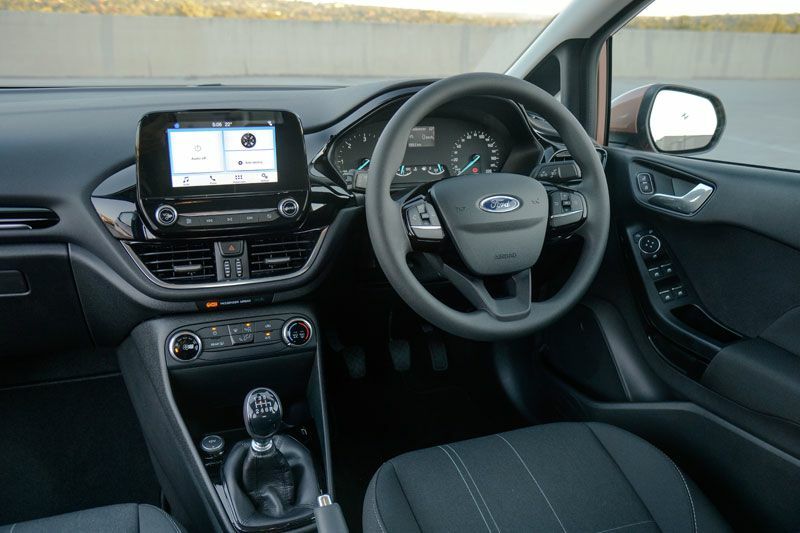 The Fiesta Titanium mated with a six-sped manual transmission uses the 92kW version of this engine, to deliver even more exhilarating driving dynamics. 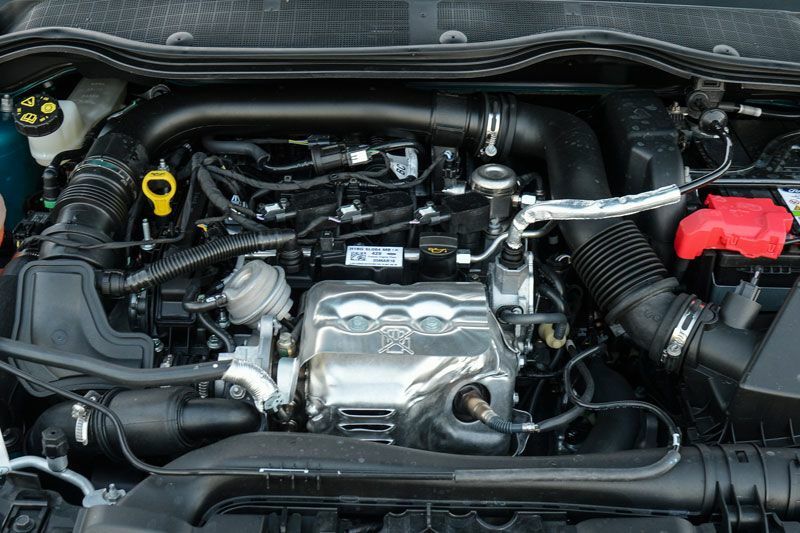 Offering the ultimate in frugal fuel consumption, the 1.5-litre TDCi turbodiesel is exclusively available with a six-speed manual gearbox, producing 63kW and a torque peak of 175Nm. All models come standard with Ford Protect, comprising a four-year/120 000km comprehensive warranty, three-year/unlimited distance roadside assistance and five-year/unlimited km corrosion warranty. A four-year/60 000km service plan is included, with 15 000km service intervals.